8 frequencies (UNIQUE): - GSM-900; - GSM-1800; - 3G-2100; LTE 4G 2620-2690; - 4G Mob (MTS / Tele2) 790-826. The ultrasonic suppressor of voice recorders and wireless communication "UltraSonic HDD-6.0" is designed in the form of an external hard disk. The suppressor is designed to block recording by all types of voice recorders as well as to suppress wireless communication. 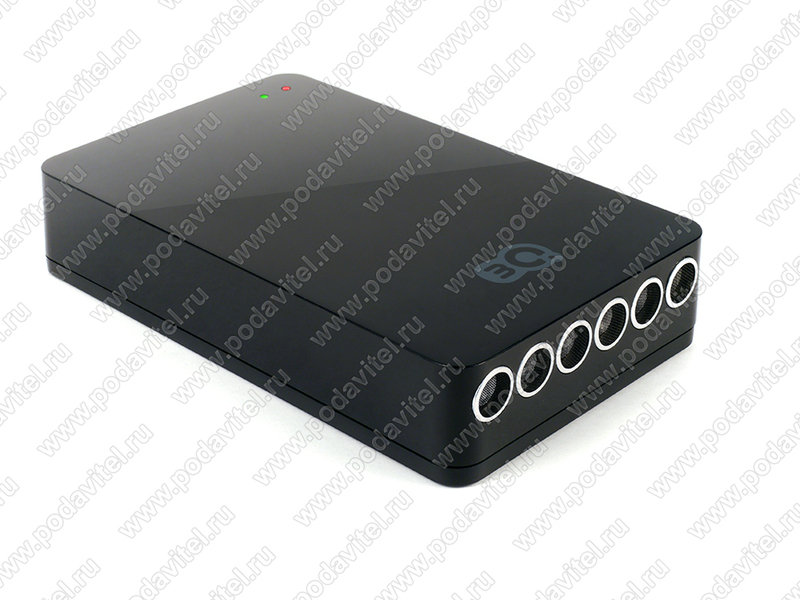 The device is equipped with six ultrasonic speakers, the impact of which on the microphone membrane of the recording device will not allow recording the conversation at a distance of up to 5 meters from the suppressor. The communication suppressor allows blocking the transfer of data using devices that work through 3G and 4G / LTE mobile internet, GSM 900/1800 cellular communication, GPS navigation, and also on the Wi-Fi frequency. The device is designed in a compact case from an external hard drive and at the same time completely mimics its operation, so that the use of the device does not attract unnecessary attention. In addition, UltraSonic HDD-6.0 is equipped with a battery and can run autonomously for up to 40 minutes. A nice bonus is the operation of the device as a 32 GB USB-drive. The "UltraSonic HDD-6.0" device is great for use in a small office or meeting room, while the appearance of the device does not attract attention at all. The presence of a built-in battery allows the device to be used autonomously, for example, at field meetings, in order to prevent information leakage. Ultrasonic sound suppression will secure you from unauthorized audio recording to digital and analog voice recorders. Ultrasonic radiators silently impact the membrane of sensitive microphones at a distance of up to 5 meters, while only indistinct noise will be heard when listening to the record. Suppression of wireless communication makes it impossible to transfer confidential data within a radius of up to 15 meters from the device. In this mode, mobile communication, mobile Internet, as well as a GPS system are blocked. 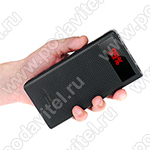 The case is made in the form of an external HDD hard disk. It allows you to freely position it on the table during negotiations and the suppressor will not cause any suspicion from the interlocutor. Autonomous operation of up to 40 minutes in two modes makes it possible to use the suppressor at field events. The charge time is about 30 minutes. 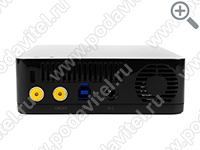 Working as a USB-drive with a capacity of 32 GB allows you to use the suppressor as a storage device (does not work when the suppressor mode is on). Unnoticed operation. Suppressor "UltraSonic HDD-6.0" is designed in the case of an external hard drive and will not attract unnecessary attention. In addition, the device works almost silently. "UltraSonic HDD-6.0" suppressor - 1 pc. 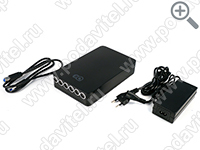 Charger 12 V, 5 A - 1 pc. USB cable (USB-B to USB-A) - 1pc.